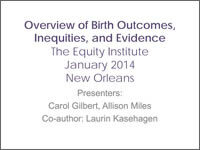 Equity Institute interventions are driven by local maternal and child health (MCH) data at every stage. All available, pertinent local data should be used to inform your coalition’s plans and actions. Local data is part of Collective Impact’s “shared measurement system.” It can help a coalition with widely differing agendas and perspectives reach common ground and stay on track. Statistics at the county level should be readily available, and should be supplemented by data from health care systems, insurance companies, programs, etc. “Raw” vital records data files can be obtained and analyzed to give a more in-depth picture of local patterns and causes of preventable deaths. Local data will help your coalition determine which kinds of activities have the most potential for impact on equity. Interactively sharing the data with community members can provide context to help coalition members interpret findings, and can strengthen buy-in and political will for change. 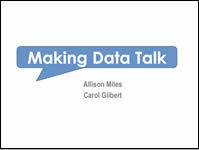 The following topics will lead you through steps needed to access and share your local data. Please use the Read More links to learn about each step and for additional resources. "Consider the Role of Race and Racism" provided an overview of what data can tell you about birth outcomes and the disparities. Vital records data (births and fetal and infant deaths) are the main source of population level birth outcomes information. They are collected by government health departments, which usually provide timely summary statistics at the county level. Raw vital records data files can usually be made available to local health departments for analysis. 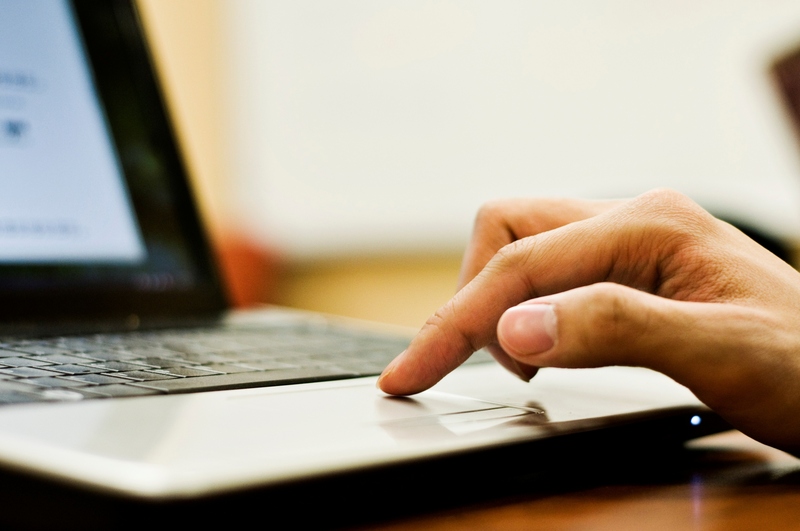 State and local governments may be able to provide data from other sources such as surveys or administrative data. Access to information may be facilitated through partnerships with or inclusion of representative insurance companies, Medicaid, school systems, and providers such as WIC or hospital systems. Click Read More to begin exploring ways to locate and access your local MCH data. Local data can provide your coalition with an overview of time trends and disparities across populations. Using this data, your coalition can examine changes in birth outcomes like infant mortality over time; identify racial and ethnic disparities in birth outcomes and compare local birth outcomes to state and national rates and other benchmarks, including Healthy People 2020 goals. Vital records data have information on outcomes, but also on risk and preventive factors (such as maternal smoking, education, marital status, insurance coverage, hypertension, and prenatal care). 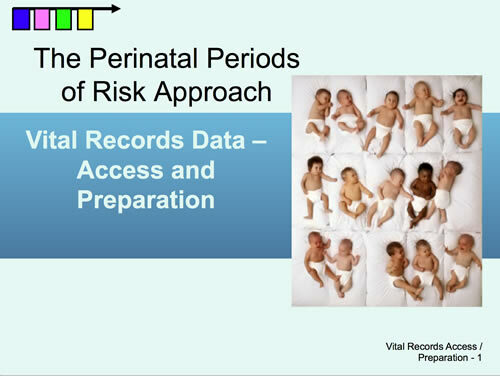 “Raw” vital records data files can be used for in-depth analyses of outcomes and risk factors with the Perinatal Periods of Risk (PPOR) approach, and for sub-county analyses, which may not be published by states. Combining vital records data with information from other sources can provide a more detailed picture of the causes of observed disparities, and potential directions for preventive action. Findings should be carefully interpreted in light of your coalition's knowledge of the community, published scientific research, and qualitative findings from local in-depth case reviews such as FIMR or Child Death Review processes. 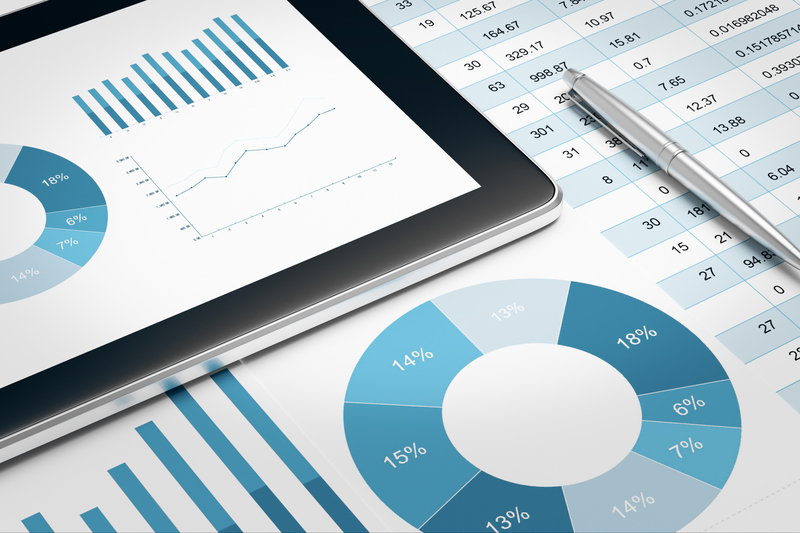 To learn more about PPOR and understanding your local data, click Read More below. Burns, P. (2005). 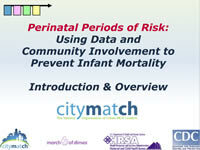 Reducing infant mortality rates using the perinatal periods of risk model. Public Health Nursing, 22(1), 2-7. Cai, J., Hoff, G. L., Archer, R., Jones, L. D., Livingston, P. S., & Guillory, V. J. (2007). 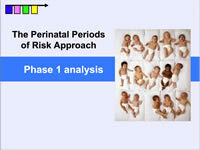 Perinatal periods of risk analysis of infant mortality in Jackson County, Missouri. Journal of Public Health Management Practice, 13(3), 270-277. Cai, J., Hoff, G. L., Dew, P. C., Guillory, V. J., & Manning, J. (2005). 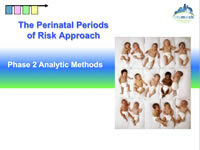 Perinatal periods of risk: Analysis of fetal–infant mortality rates in Kansas City, Missouri. Maternal and Child Health Journal, 9(2), 199-205. Cottrell, B. H., Shannahan, M. (2004). Maternal bacterial vaginosis and fetal/infant mortality in eight Florida counties, 1999 to 2000. Public Health Nursing, 21, 395-403. Demont-Heinrich, C. M., Hawkes, A. P., Ghosh, T., Beam, R., Vogt, R. L. (2014, May-June). Risk of very low birth weight based on perinatal periods of risk. Public Health Nursing, 31(3), 234-242. Pestronk, R. M. & Franks, M. L. (2003, July-August). A partnership to reduce African American infant mortality in Genesee County, Michigan. Public Health Reports, 118, 324-335. (Gilbert, C. & Miles, A. Presented at the CityMatCH Equity Institute Training, New Orleans, LA). Sharing local data with community members and stakeholders is crucial to developing consensus and garnering support for Equity Institute initiatives. However, only presenting charts, graphs, and statistics does not create a compelling argument, particularly for lay audiences. Data visualization and storytelling allow your coalition to convey data in a more applicable manner and encourages people to take action. It helps answer the question: "Why should I care about inequities in birth outcomes?" (2014, Miles, A. & Gilbert, C.). Davis, A. (Writer), Gillham, S. (Design, Illustration, Direction), & Peirick, M. (Voiceover). Pathway to CHOICE [Video]. United States: Elias Arts, Clayton Studios.